Alien Bee: 4 Images And A Sneak Peek Clip From BEING HUMAN Episode 203 "All Out Of Blood"
4 Images And A Sneak Peek Clip From BEING HUMAN Episode 203 "All Out Of Blood"
Here's four images from BEING HUMAN Episode 208 "All Out Of Blood". This season is much bigger with more characters being introduced and is getting darker in tone, which I'm loving! 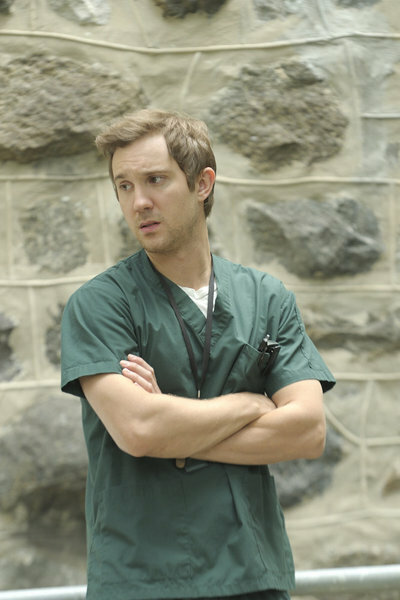 The series stars Sam Witwer, Sam Huntington, Meaghan Rath as our three favorite roommates. Josh and Nora confront their first werewolf change together. Aidan is shocked to discover a secret from his new girlfriend Julia's past.